What can you fit in a New York apartment? How about a dining table that comfortably sits six people. Or a sofa you can actually lounge on. Or three separate seating areas on the terrace. 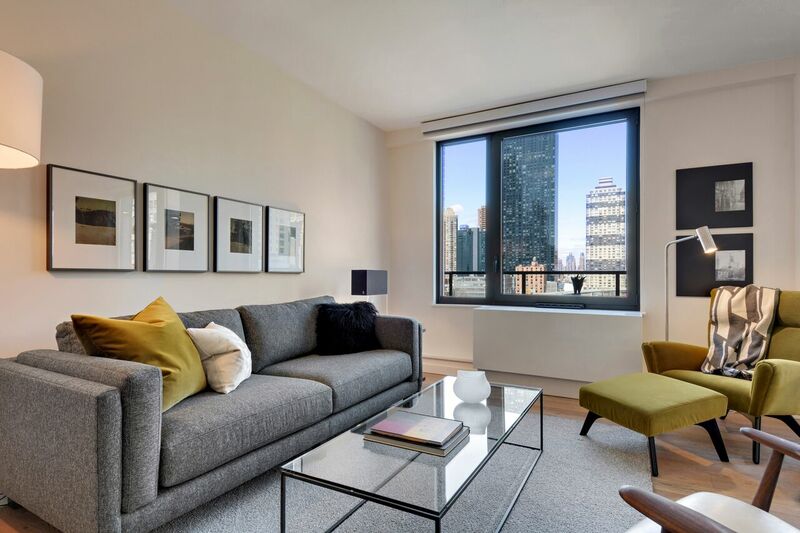 Room & Board New York Design Associates Nicol and Lynn worked with real estate company Douglas Elliman to furnish a model unit in a new development in Hudson Yards that, by a feat of magical floor planning, contains all three. And into a lavish New York apartment? I bet. But the project didn’t come without restraints. “We work hard to make sure the furniture we select fall within a certain budget,” said Nicol. And size, of course, was a consideration. “It’s a warm, sophisticated space,” Nicol and Lynn said, “so it immediately lent itself to Room & Board’s warm, classic furniture.” What’s different about the building, though, is the use of dark metal and natural steel, versus the stainless steel that seems to pop up in new construction. Nicol and Lynn knew right away they’d want to use warm tones to balance the darker building materials. 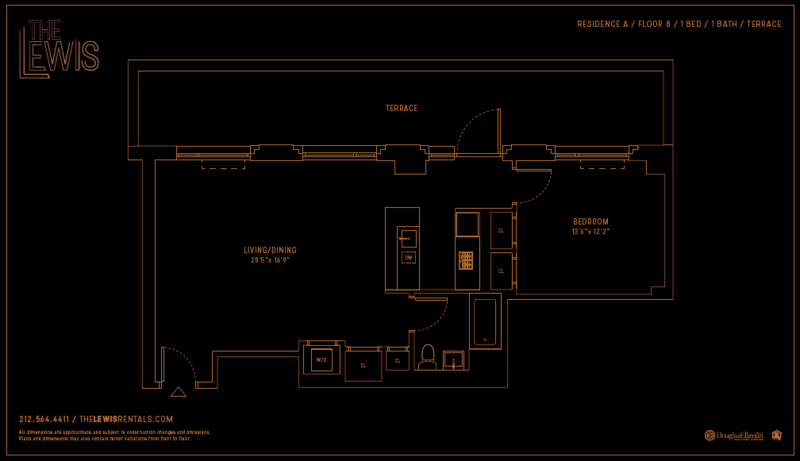 The floor plan from The Lewis that our Design Associates worked on: 1 bedroom/1 bath, 1 beautiful terrace. 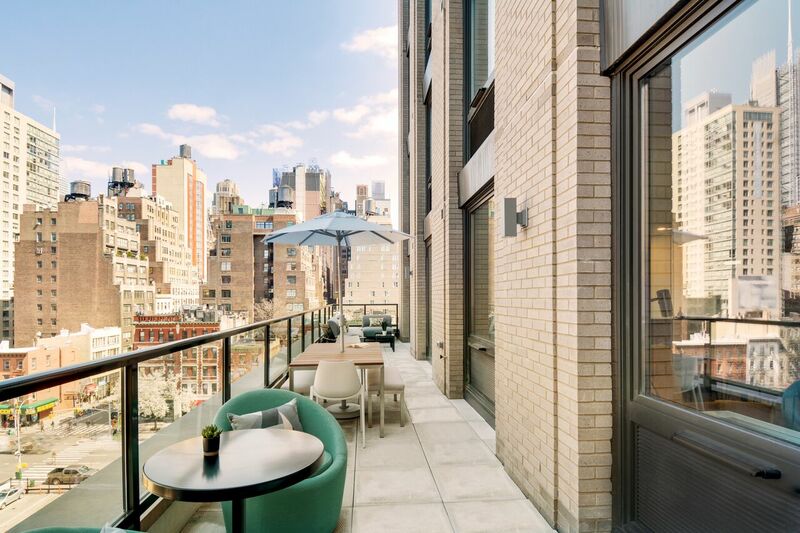 “[When we met with Douglas Elliman], they said they pictured someone in that space who loved to entertain and host.” Taking cues from the development group and the building’s architecture, Lynn and Nicol knew they wanted to achieve two main things with the apartment. 1. Use warm tones to brighten it up and 2. 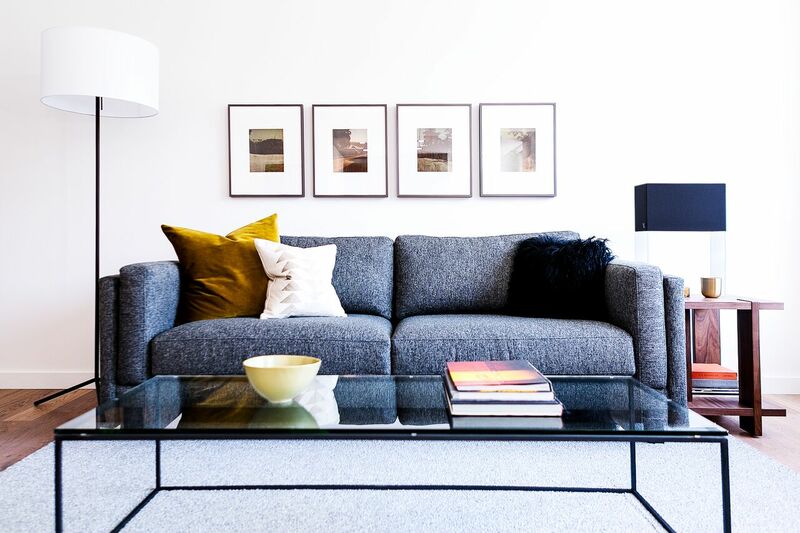 Bring larger scale furniture into the space. 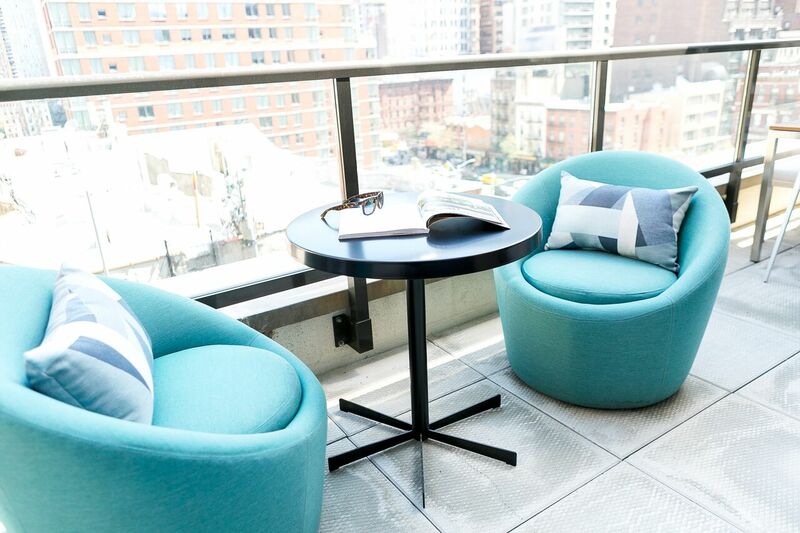 Between a sofa, two accent chairs, a larger scale dining table (plus six chairs) and a fully outfitted terrace, I’d say they created a floor plan for New York’s host of the year. 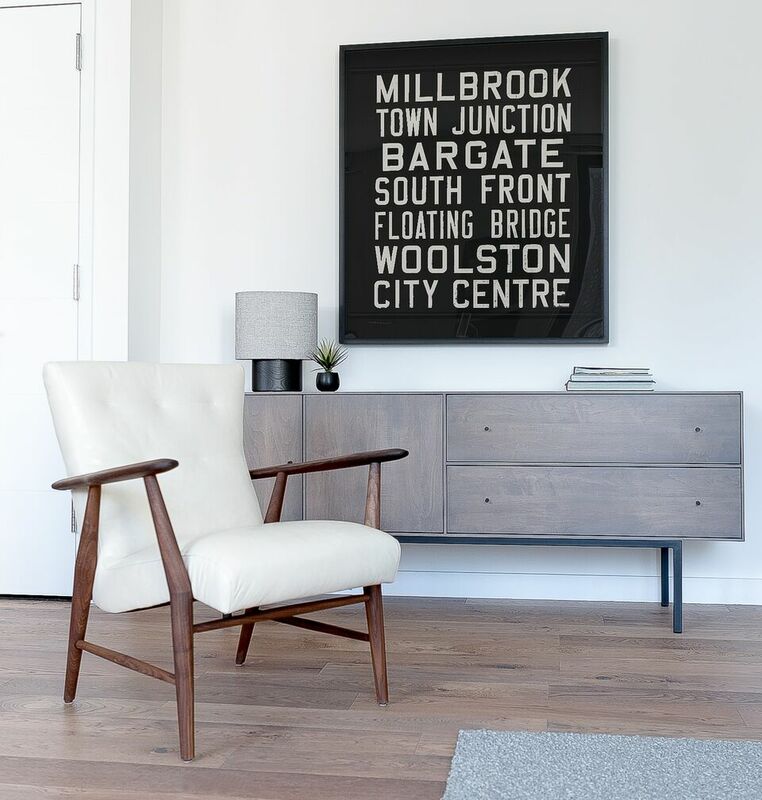 Jonas chair, Hudson cabinet, Haddie lamp, one-of-a-kind Vintage Trolley Sign. On staging day, the Room & Board delivery team did what they do best. Kicking off their shoes before entering the space with the furniture, they moved a truck-full of furniture into the apartment in less than a day. Crane floor lamp, Cade sofa, Tyne coffee table, Kira end table, Formline table lamp, throw pillows. Both Design Associates echoed their excitement about continuing the relationship with Douglas Elliman. 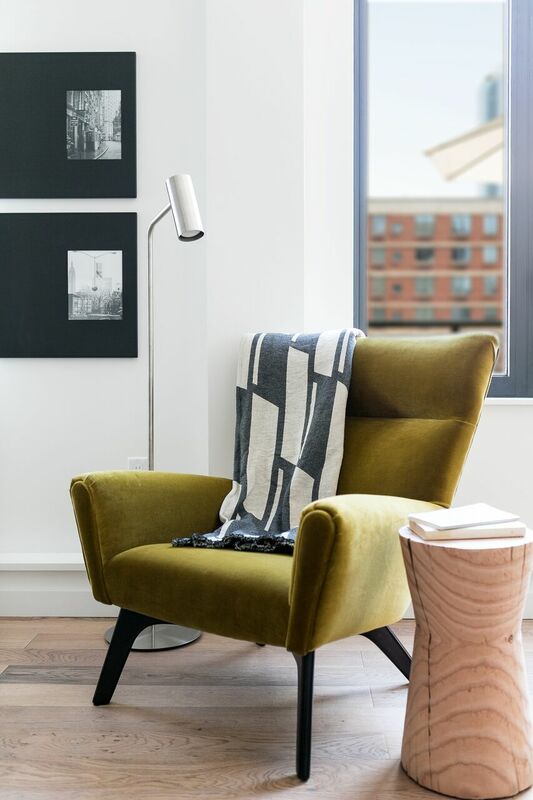 Everyone deserves good design – Room & Board can help you get there. Floor planning and free design services are always available to you, whether in-store, online or over the phone.